Blame inflation or the weakening pesos, but nowadays, you can’t get a decent sub-compact sedan for less than P 700,000. You can get a teeny-tiny hatchback for sure, but if TNCs won’t allow you to use it to ferry passengers, imagine how compromised this choice would be for those with families. 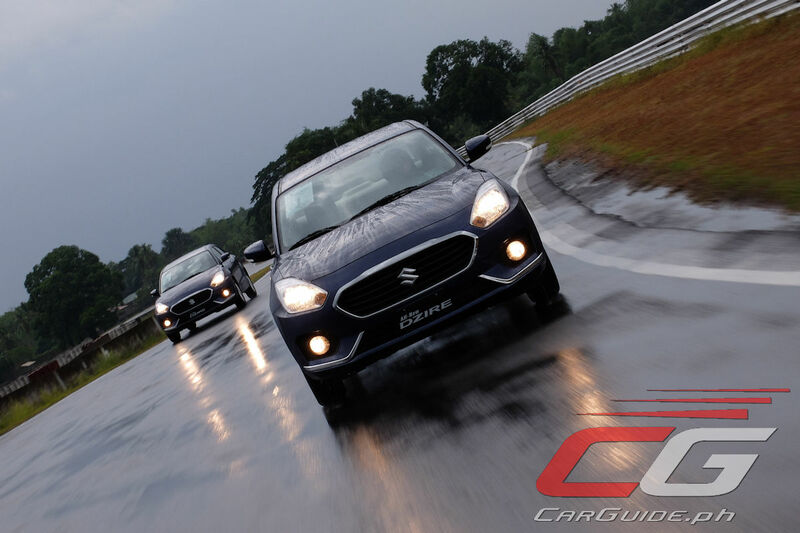 Now, in a rather surprising move, here comes the 2018 Suzuki Dzire—a sedan that manages to tick all sorts of boxes including a price tag that tops out at P 698,000. 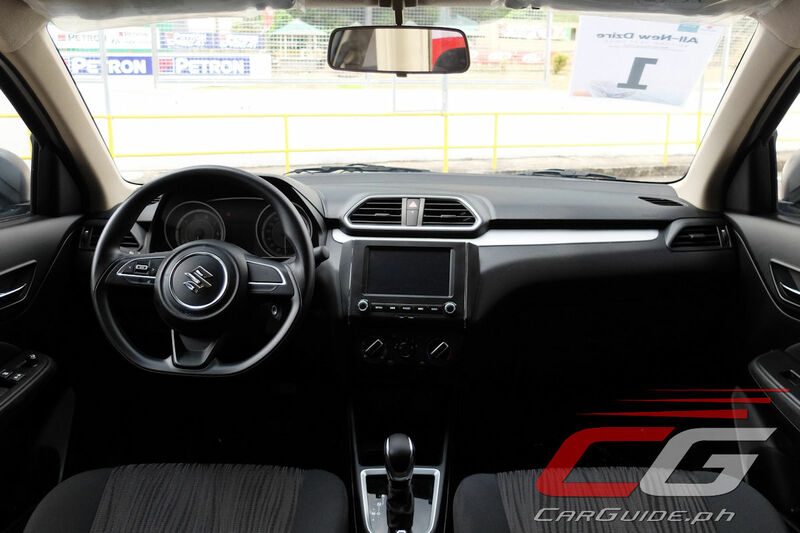 This could be the best bargain in the entire Philippine automotive industry. 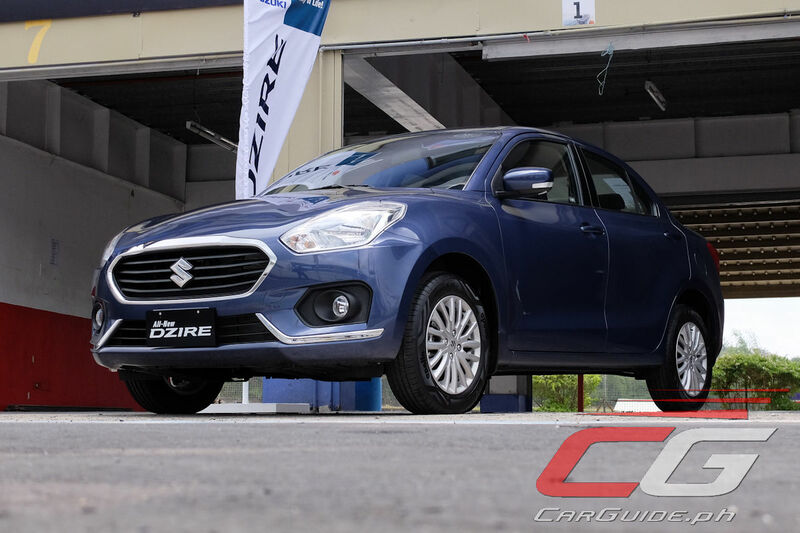 Understanding how Suzuki has managed to make the 2018 Dzire cheaper than its predecessor (it used to be P 718,000), we have to go down to its underpinnings, specifically its all-new HEARTECT platform. Lightweight yet highly rigid, engineers were able to reduce the number of cross bracing reinforcements by using continuous, smooth, and curving structures. At the same time, they were able to optimize the entire underbody together as opposed to reinforcing individual components. The result? 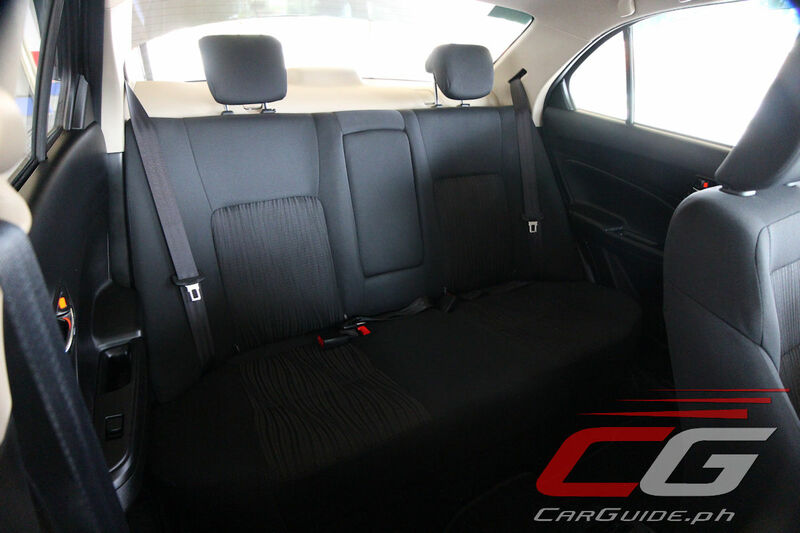 A platform that weighs 23 kilograms less while achieving much better handling, comfort, and safety performance. 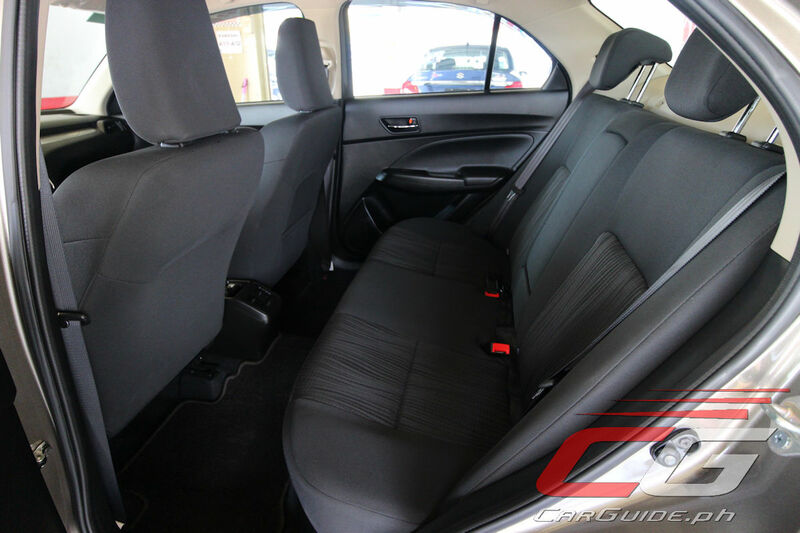 Suzuki’s focus on weight reduction has also afforded the use of smaller components. 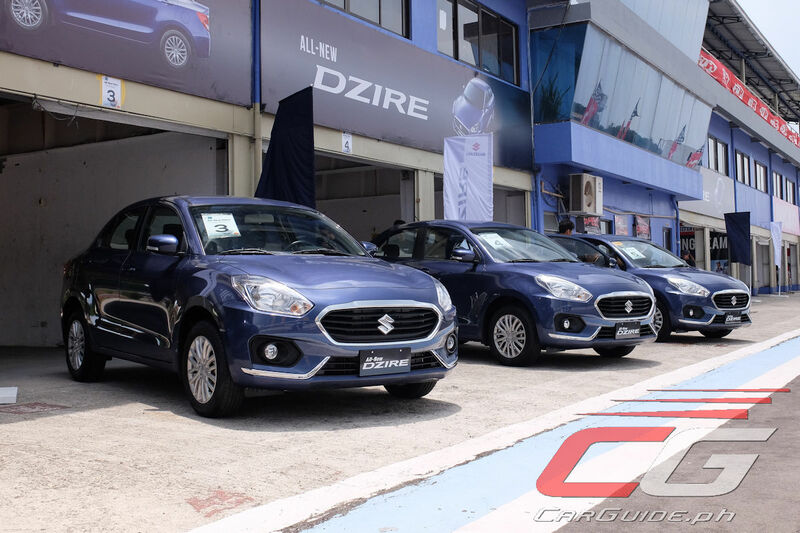 Mr. Kenny Adia, Senior Product Supervisor for Suzuki Philippines’s Automobile Division reveals that the brakes on the all-new Dzire are actually smaller than its predecessor and yet, there’s no detriment to the overall braking performance. Why? 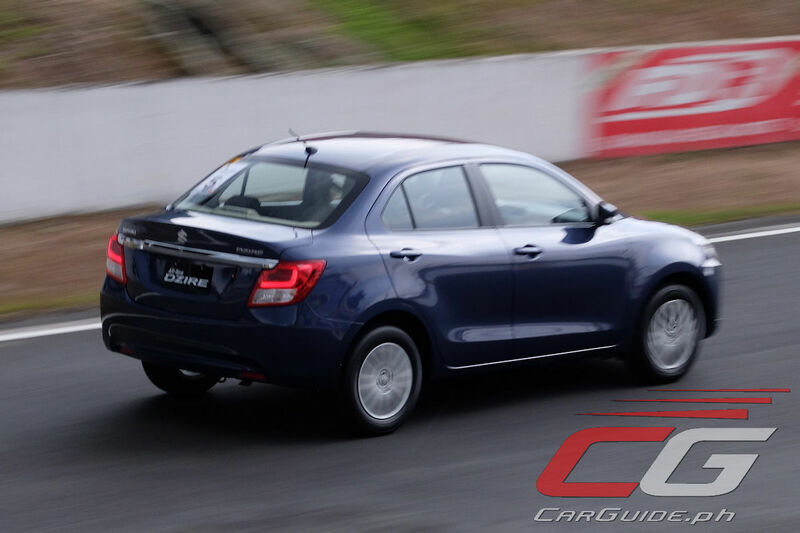 It’s simply because there’s much less mass to stop: the 2018 Dzire’s curb weight is just 895 kilograms or 175 kilograms less than the outgoing Dzire. Topping that all off, the all-new Dzire uses Suzuki’s brand-new automated manual transmission which they call Auto Gear Shift (AGS) technology. Made by Magneti Marelli, it’s effectively a 5-speed manual gearbox with an electro-hydraulic actuator that operates the clutch and gearshift. 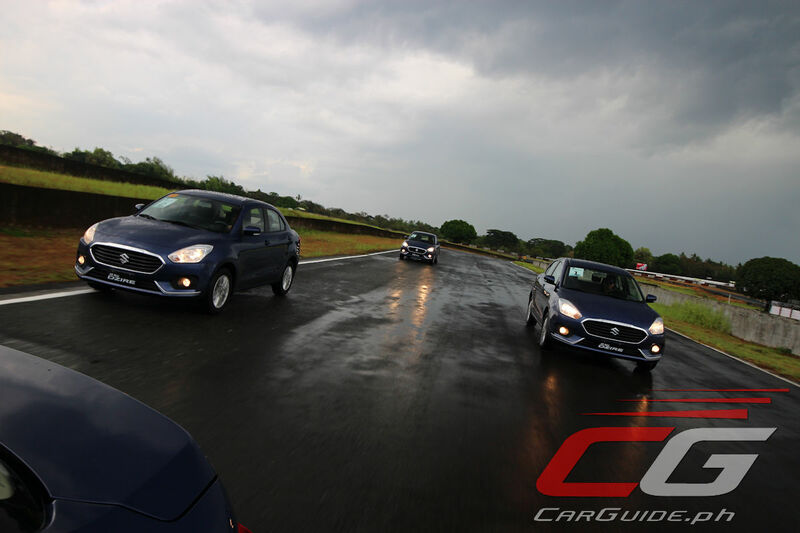 Thus, Dzire’s transmission is mechanically simpler and lighter compared to a conventional automatic or CVT. Furthermore, Mr. Adia says that the maintenance cost of AGS is much like a manual gearbox with the same sort of parts (clutch disc, release bearing, and the like). 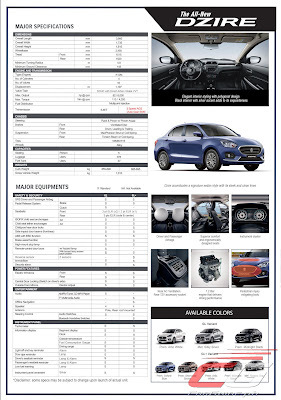 The Dzire’s, pardon the pun, desire to reduce weight negates the need for a larger engine. 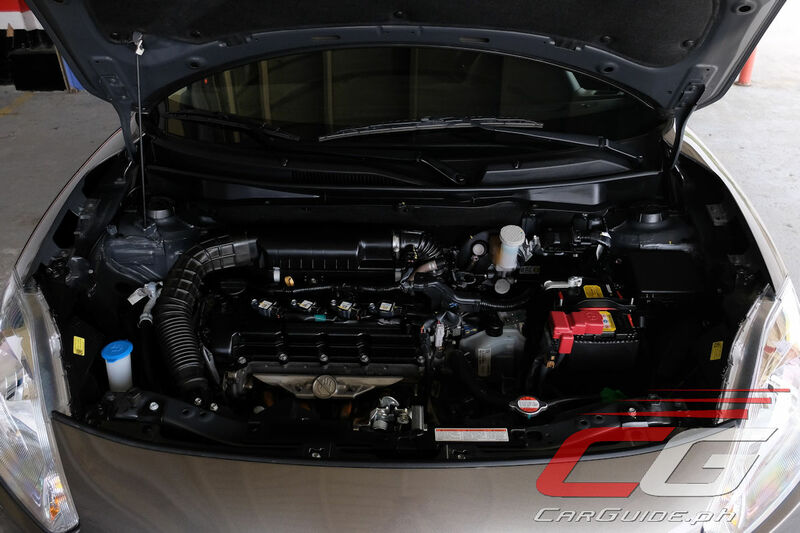 It means that the 1.2-liter K12M 4-cylinder proves more than enough usable performance. In fact, the Suzuki track marshals said that the century mark arrives at 12 seconds—not bad for an 82-horsepower, 113 Nm of torque engine. While there will be up to 5 colors to choose from (3 for the base GL variant), Suzuki Philippines put their best foot forward and used the Dzire’s image color for this preview: Premium Oxford Blue. At a glance, it’s clearly not any more a hatchback with a trunk lid slapped on. Designed as a sedan from the get-go, it has unique A- and C-pillars tying up the lines neatly. It’s slightly wider than its predecessor, a fact actuated by the new polygonal grille. The vertically-arranged headlamps and LED taillights also create a much more elegant design compared to others in this segment. Inside, the Dzire’s all-black interior proves well-matched to its simple, honest character. 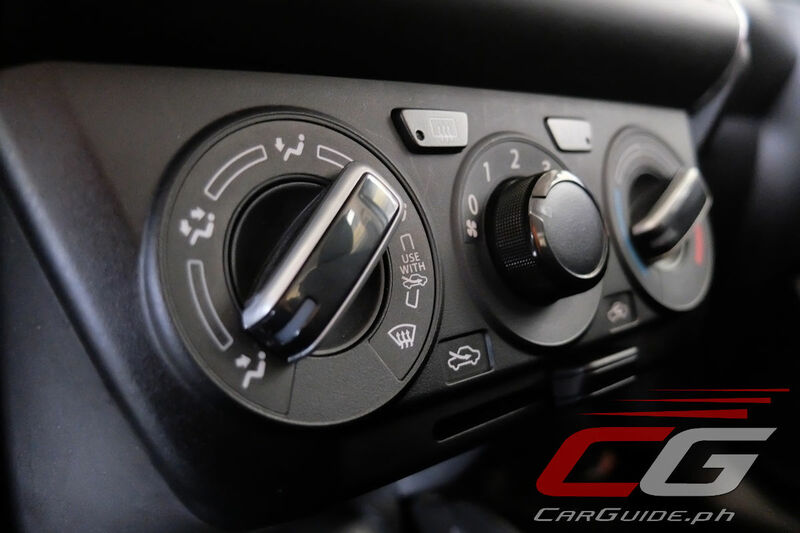 Its layout is straightforward with highly-legible gauges, large-rotary dials for the air conditioner, and crisp-feeling stalks and buttons. Yet, there’s some hints of sportiness too from the flat-bottomed steering wheel and vertically-resting tach and speedometer needles; and whiffs of practicality with the respectably-sized storage bin in front of the shifter and generous rear quarters (there’s 69 millimeters more space between the front and rear seats) with their own armrest and air conditioning vents. 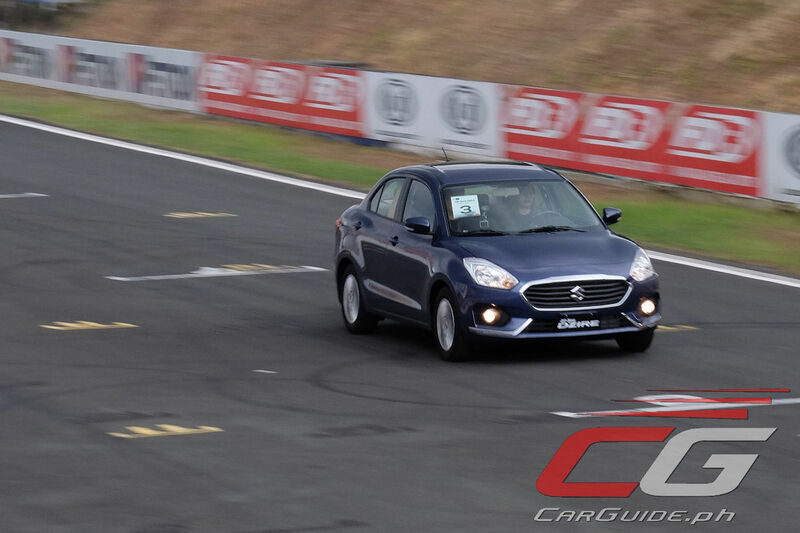 Given that the Dzire looks like a sub-compact sedan, it’s safe to assume that it drives like one, right? To some degree, yes; but admittedly, it also requires a bit of a learning curve, mainly because of the Auto Gear Shift system. For one, the shifter pattern is different. Instead of the usual PRNDL, you get RND on the Auto Gear Shift. And though you can move the gear lever around even with the car off, starting it requires that the shifter be in Neutral with the brakes applied; otherwise a failsafe will kick in. The same goes when the Dzire’s in motion and the shifter somehow finds itself going into Reverse. A safety system prevents the shift and alerts the driver. Next, driving it like a conventional automatic produces some noticeable shift shock. Instead, AGS is best experienced by lifting off the gas slightly for a second (image a clutch being depressed) whenever you want to change gears up. This action is somewhat counterintuitive for those who’re used to driving an automatic but should come naturally to those who drive stick. Finally, the Dzire is one of the handful of Auto Gear Shift-equipped cars to come with a “creep” function. 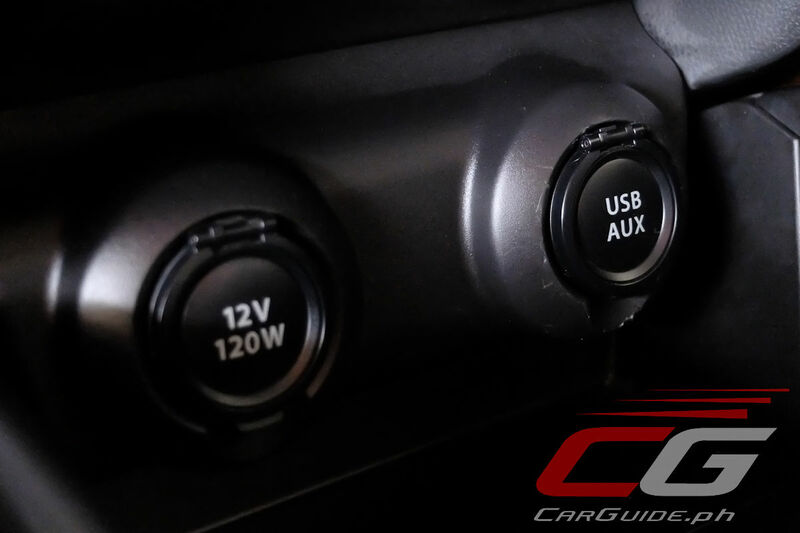 This allows the car to move forward slightly in stop-and-go traffic negating the need to constantly push on the accelerator, reducing the wear-and-tear on the AGS. That said, it can only be engaged when the transmission is kept in Drive. Shifting from Neutral to Drive, as some geniuses do in traffic, without having the foot on the brake pedal activates the failsafe system (see number one). 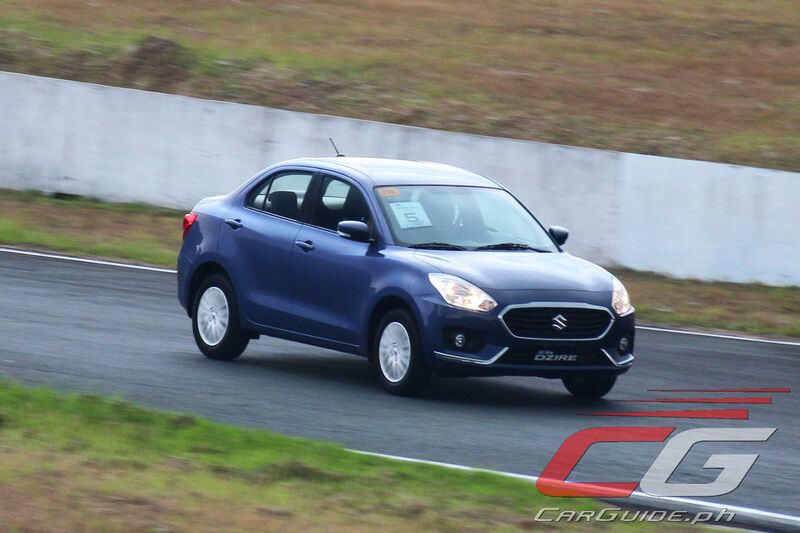 We’ll have to judge the Dzire’s public road performance some other day, but in the safe confines of the Batangas Racing Circuit, it’s easy to get accustomed to the Dzire’s quirky gearbox. The “lift and squeeze” method brings out some pretty sensible performance, however, this gearbox is best experienced with the manual override engaged. 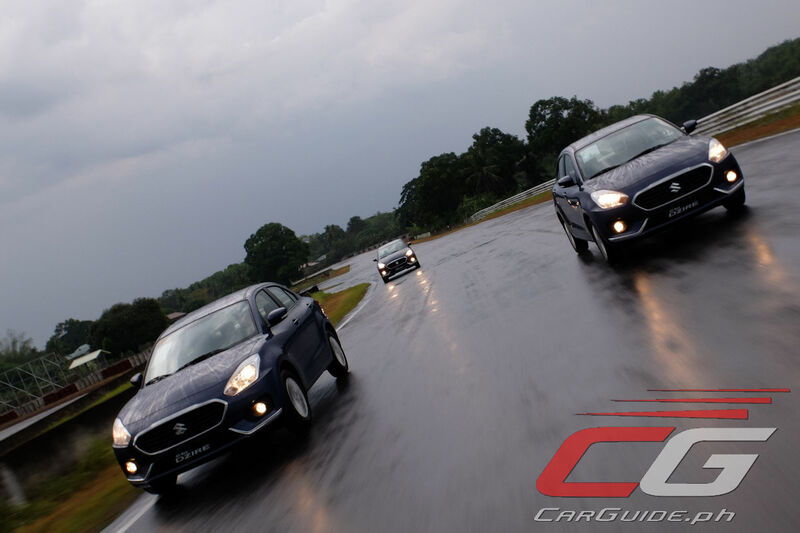 During these times, the gearbox is smooth, quick, and predictable (because you’re the one doing the shifting) resulting in a surprisingly sporty experience around the track. The engine is somewhat buzzy and coarse at the top end, but otherwise, it’s significantly quieter than the model it replaces. Even if it’s built as a commuter car, there’s some degree of sportiness baked into it too. 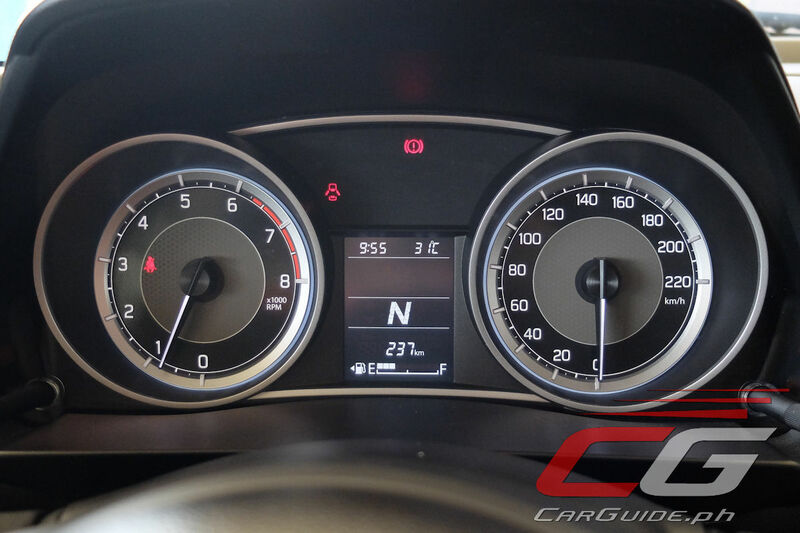 The steering is pointable and responsive, while body roll is largely controlled. 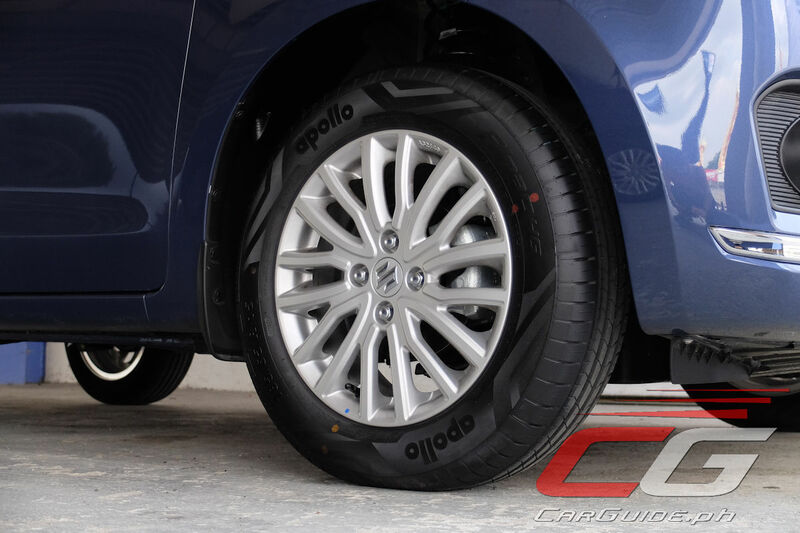 If there’s one weakness, it’s the lack of mechanical grip from the OE Apollo 185/65 R 15 tires. Take a bend, especially something like an S-bend spiritedly, and the tires will squeal. A steering correction, a scrub of speed, or both brings the Dzire back in line. That said, if there’s one car that’ll benefit from stickier aftermarket tires, it’s this one. The suspension can clearly do a lot more. 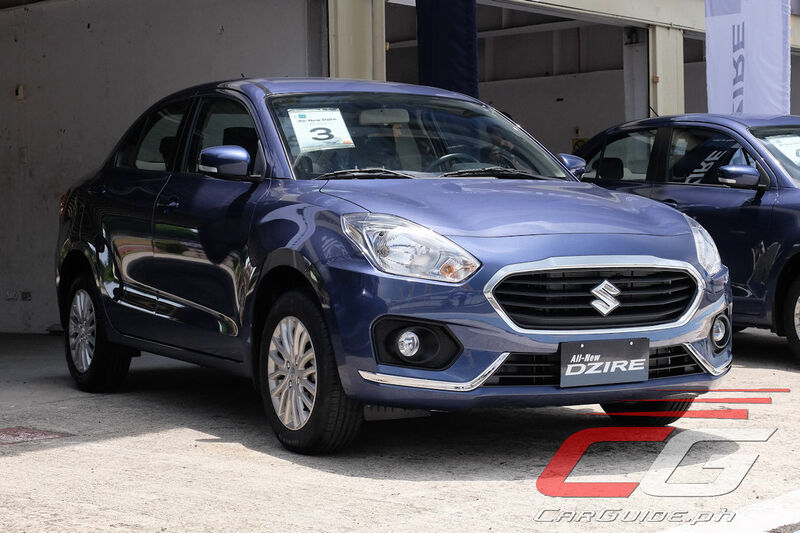 Considering all the 2018 Dzire is, Suzuki is poised to have yet another big hit on their hands. This inflation-proof sub-compact offers an elegant design built atop solid new foundations backed up its great value-for-money pricing. With two models, the manual transmission GL (P 638,000) and GL+ with AGS (P 698,000), it’s targeted towards buyers who’re new to the Suzuki brand but who’re after practicality and affordability says Mr. Cecil Capacete, Assistant General Manager for Suzuki Philippines’s Automotive Division. 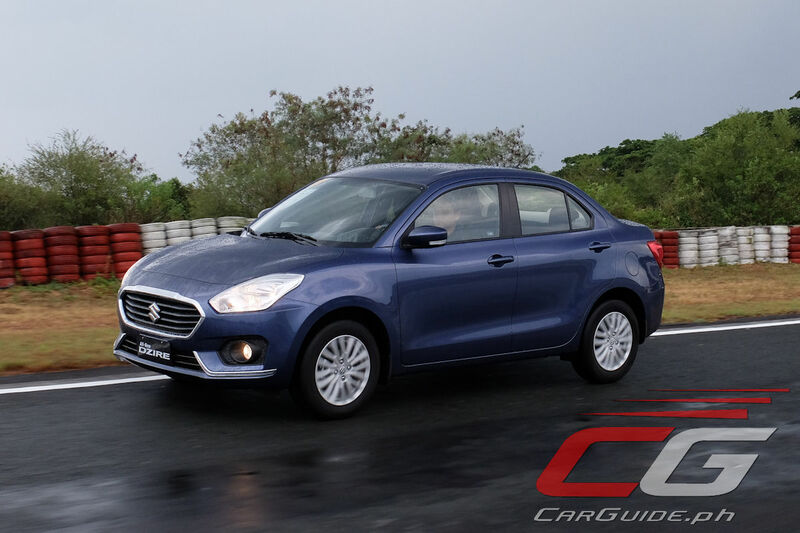 There’s certainly a lot going for the Dzire and with that, it’s sure to shake up the segment. Is AGS just somewhat the same with automatics with + - function? Or this is a different technology? 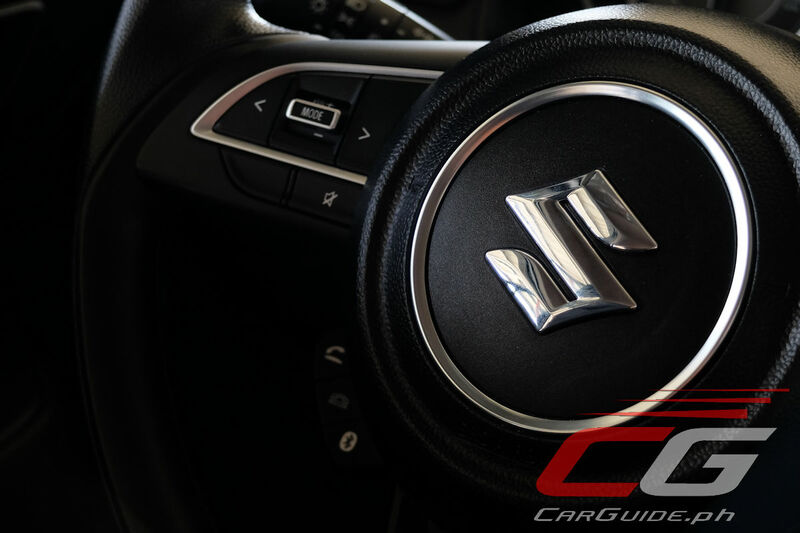 As Suzuki markets it as manual w/o a clutch. And from this first drive it is like a combination of both manual and automatic. I also remember, some old automatics (around 2000 or below model year) for it to shift you need to lift your foot off the gas pedal. 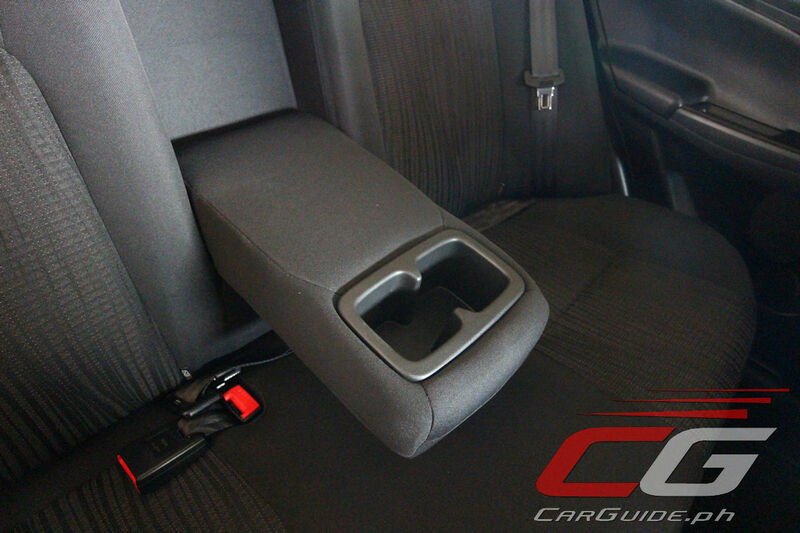 Plus points to Suzuki for giving the rear passengers with center armrest w/ cupholders and aircon vents. Even if this is a subcompact sedan. Great value. Sir Uly can't wait for you to do a proper review of this car in city roads Manila traffic. I have a bad feeling about that transmission... Better stick with the manual just to be safe. If you can wait, get the AGS one year after the release so you can get feedbacks from those who risked buying the ASG. The Indians have had this model for a while now. Kinks, if any, would have surfaced already and corrected at the assembly line. Yeah that will happen IF we live in a perfect world. Just look at Ford and VW, years na yun di pa din naayos. I share the same sentiment. The DCTs of Ford and Volkswagen were problematic. Kailan na lang din na-resolve ang CVT issues. Lalo na ito, Suzuki may gawa. Medyo skeptical ako sa long-term reliability ng transmission na ito. 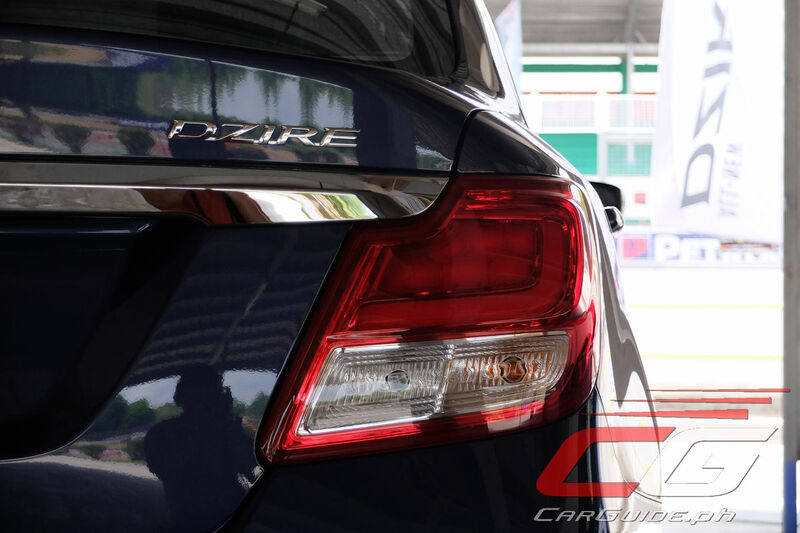 Suzuki is quite a name in Japan specially their engineering staff while VW & Ford engineers practically torpedoed DCT which had proven itself in the performance market before VW & Ford jumped in. 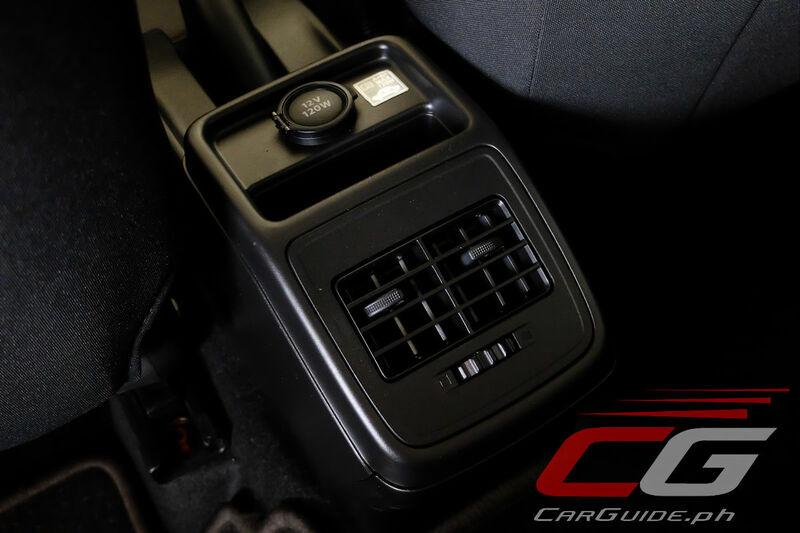 AGS is synonymous to automated manual gearbox and from what I heard "Automated manual gearbox technology has been around for a while, and it is even used in some modern Ferraris and Maseratis." This has driver and passenger airbag. 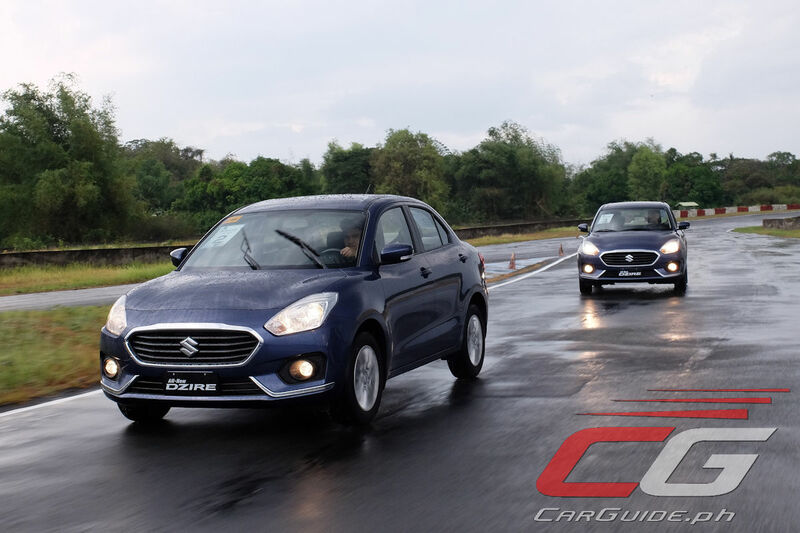 Meanwhile, the Tucson GL, which costs about or more than twice as much as the Dzire, has only driver airbags. Wtf is wrong with Hyundai? You tell me. The Americans can do it. The Europeans can do it, the Japanese can do it. The Koreans want to sell us some third world spec sht. Is the absence of some sort of trade agreement preventing them from selling safer (albeit slightly expensive) cars? If you creep in it, wouldn't that be the same as slipping the clutch unnecessarily? 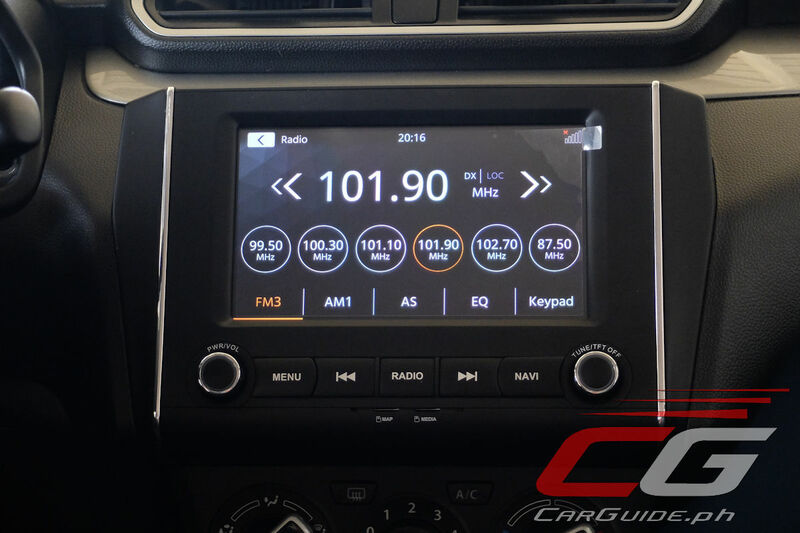 Not bad, only the audio system and navigation which is not equipped in 1.2 GL MT but it can be upgraded anyway so no problem or issue. It is a good car. Sir Uly, how roomy is the rear seat, its legroom and shoulder room? Honestly, we didn't get to spend much time in the back seat. Ingress/egress is good. Although the rear floor isn't flat...there's a slight bump. We'll have to wait for a longer drive to test the rear seat room/comfort. What if they put in auto rev-match? That would probably cure the jerkyness during shifts. They technically can, but since AMT is technology straight from Magneti Marelli, it's doubtful they can customize it to include rev-matching. Suzuki always try to sell the cheapest cars. But the maintenance and parts are expensive that is where they recoup what they gave up. Thus, if one plans to own a Suzuki for 5 or maybe 6 yrs, then it's a good purchase. You don't want to own one long term because Suzuki will become your Sukisuki and they will be very happy. Suso-kiki na ang dating kung ganun. I own one, almost two years now. Affordable naman, in my view. Naranasan ko na lahat ng klase ng maintenance - light, medium and heavy. Care to share kung ano expectations mo at nasabi mong expensive? Spark plugs, filters, oils - more or less market standard ang price. Well since medyo niche siya, hindi mo maaasahang may alternative ka sa casa, unlike Toyotas and Hondas. Is sukisuki such a bad thing? Parang hindi naman. It just means you trust the brand that much. Mutual benefit diba? 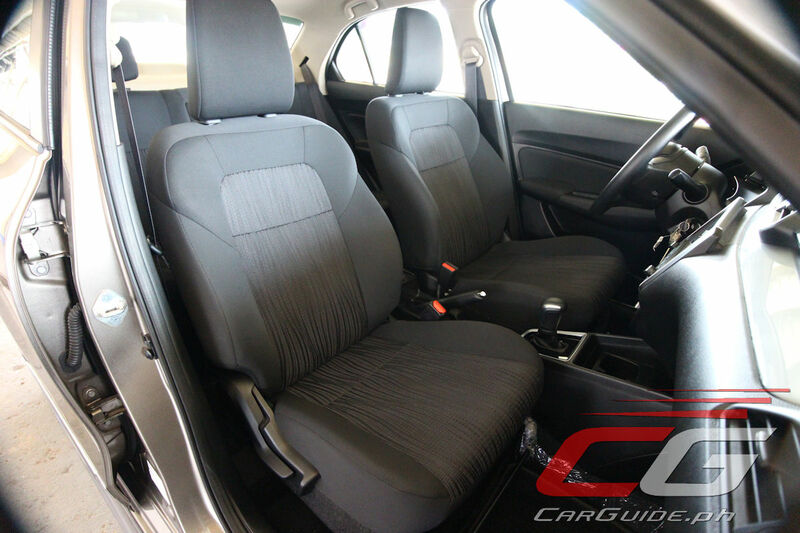 If your get to keep the car longer at working condition pa rin, testament yun sa quality ng sadakyan, at sa diligence ng owner. Realize that they're aiming for a price point. If you put in all the doodads then the cost wouldn't be palatable to consumers. Perhaps the Amaze will cut on the features when it debuts here too. You don't want it too pricey that you might as well get the City. 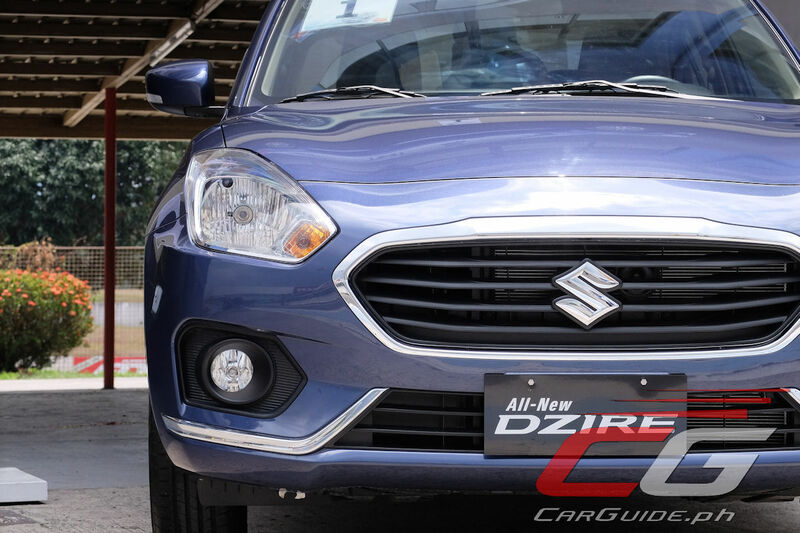 Suzuki is trying to sell the Dzire as a cheap car. If you add all those features, it will be so expensive, you might as well buy a Ciaz. Is Suzuki cars reliable and can last, hmmmm maybe 10 years? Similar to the other Japanese brands like Mitsubishi and Nissan? Suzuki offers good car but just wondering if its spare parts and maintenance are also good? Won't it give any headaches to us if we owned one? Asking for advice. Ok naman. Took the plunge two years ago, glad I did, hopefully magtagal pa.
Should be no issue with regular maintenance parts like filters and belts kasi common across models. Sa tingin ko myth lang yung parts availability problem. Issue lang siya kapag matindi yung problem, say accident or engine damage, wherein they have to ship special components that they don't typically keep. Its the same with others. If you take care of it well, it should last a long time. Suzuki's been making small cars, trucks and people carriers for a while now. Most of their models are global too. Of course! I had a previous generation Swift for 6 years, and nothing ever broke. No problems whatsoever. After 6 years, I sold it to my uncle. He's still using it now, 5 years after buying it from me. From my experience ALL Japanese cars are pretty much the same. It's the Korean cars that are dubious. Any review on AGS? Can this last?will they still produce AGS to comming years? Or if the feedback to AGS is missirable they will cut it down and go back to MT and add AT and CVT. Does the MT varriant comes with the LCD panel and alloy wheels? Is Nissan Philippines Bringing in the Leaf EV? 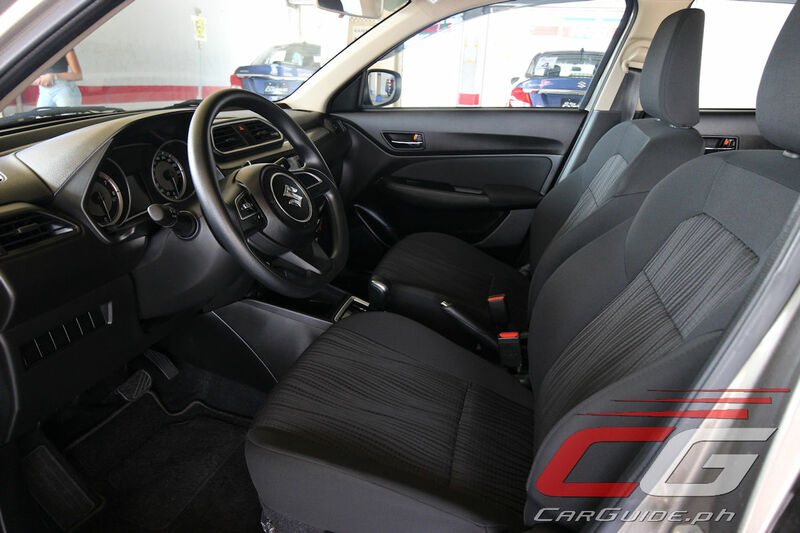 Road Tripping with the Honda Mobilio: Yay or Nay?